Known locally as "The Wrecks", this park has been there a LONG TIME, likely more than 20 years. 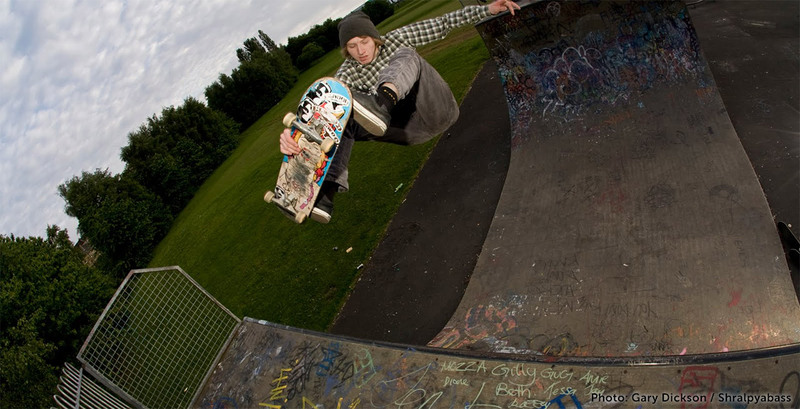 It is a prefab fibre glass skatepark, most of the ramps are destroyed now, there are some rails, little spine, an old school giant kicker and of course the Iconic Vert ramp, only reason that Vert is still skateable is because people repair it themselves. The coping has detached from the actual ramp a few times but has been repaired, there isn't really anything else worth going for other than the vert if you're into that (Sadly, at the time of publishing Sept 2017, this is practically the only vert ramp in Scotland which is a sad state of affairs!). Unknown, construction date a guesstimate!